The coffee roaster, with its roasting sounds and flavours, creates a homey, buzzy feel in the cafe. We use our coffee not only to provide Bean in Love customers with their daily fix, but also to supply retail and wholesale customers all around the country. Colombia is the second largest producing country of Arabica coffees in the world. Our Rain Forrest Alliance Certified coffee is bold, well balanced and has a cigar box and cinnamon like taste profile. This single estate coffee has become somewhat of a legend amongst our customers. Its caramel and butterscotch taste profile is of such a nature, that we can hardly keep up with the demand. A definite must-have coffee when visiting our roasteria. 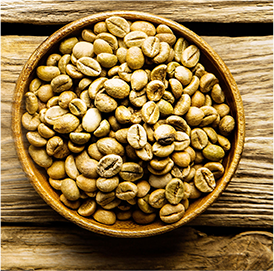 Coffees grown on the highest slopes of East Africa form part of a most unique offering. 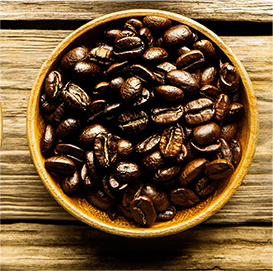 Intense flavours of citrus and chocolate zest, one can experience when enjoying an East African coffee. East African coffees have become very sought-after and I believe has the most potential for various flavours when drinking coffee. The Guatemala Huehuetenango Region has some the highest graded coffees available in this extremely gifted coffee producing country. A combination of geographical factors such as altitude, soil and rainfall, forms part of producing this gem. Dark chocolate with a hint of fruitiness is what will taunt your taste buds when drinking this coffee. We highly recommend this coffee for the espresso drinkers. The decaf is fresh and full of flavour and originates from Colombia. 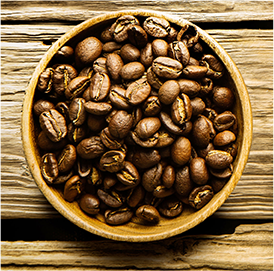 Specialising in the art of roasting coffee, we carefully roast beans imported from Africa, Central and South America. 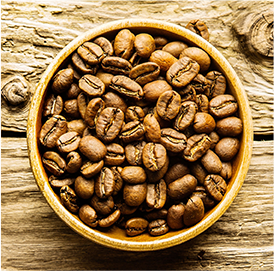 A variety of medium bodied, full bodied and acidic coffees are roasted in-house to perfection, providing coffee lovers with a taste that lingers with freshness. A combination of unique roasting skills and our roaster, Has Garanti, gives us the ability to control and monitor each and every single roast. Espresso coffees are roasted to a dark, mahogany brown colour to ensure a sweet, rich mouth feel, with hints of hocolate and caramel. 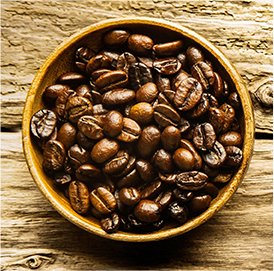 Single origin coffees are each roasted to a specific profile to bring out its unique flavour components.